This was a fire we had to help clean up recently. 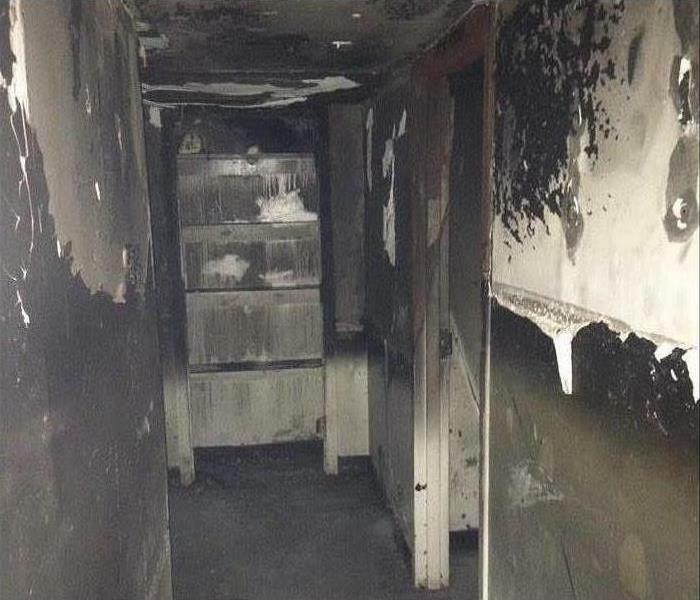 These are the pictures of a unit within St. Clair Housing Authority in Illinois. We took this project from mitigation through reconstruction. We turned this unit in less than 60 days. The only delay was getting some windows from clients preferred vendor. Hurricane Harvey was a category 4 storm that hit Texas in August of 2017. It caused billions of dollars of damage to the Southern part of Texas. 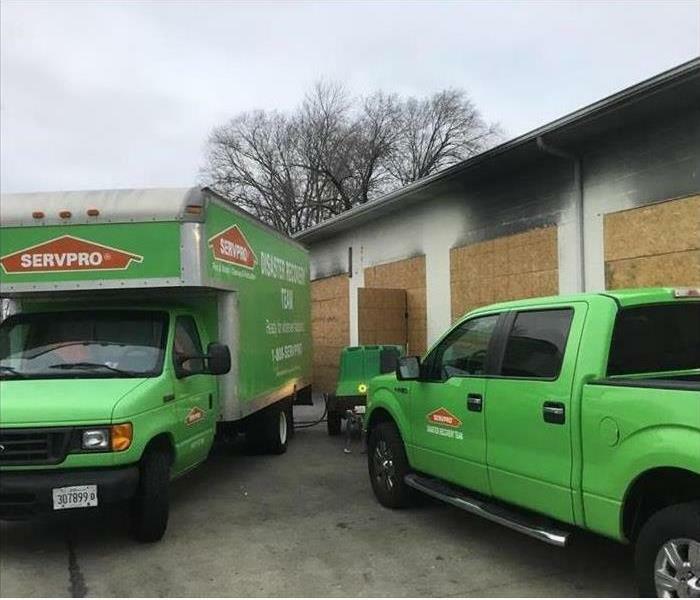 Our SERVPRO of Effingham, Mattoon Charleston Extreme Team traveled down to Southern Texas to help out anyone in need of cleaning up service from the Storm that hit. What exactly is an air scrubber? 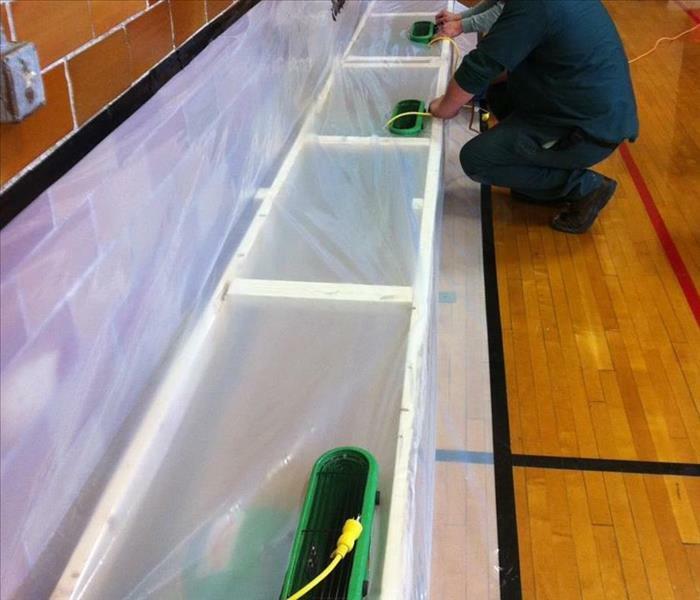 This is tool our team uses to filter out the mold spores that may have been missed during the cleaning process. Mold spores are tiny and it dose not take much effort to get them airborne. Once airborne they migrate to other areas and that can be an issue down the road. Have you ever heard of ice blasting? 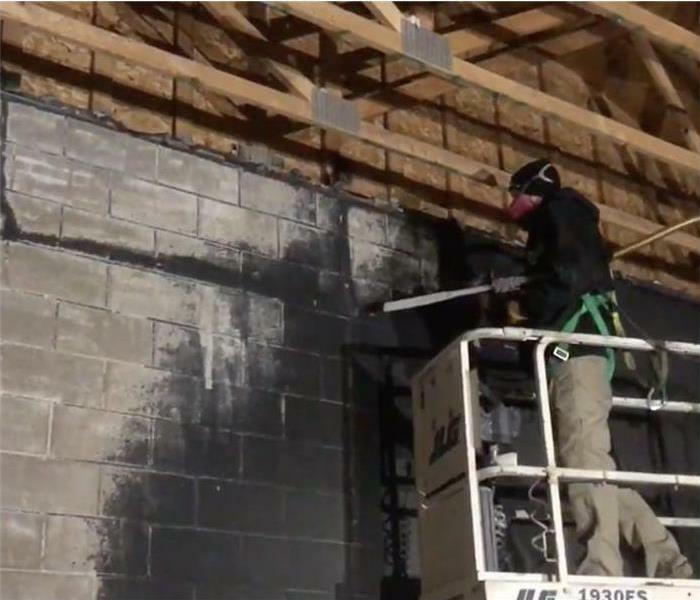 Cryogenic Cleaning or Dry Ice Blasting is a form of carbon dioxide cleaning where dry ice, the solid form of carbon dioxide, is accelerated in a pressurized air stream and directed at a surface in order to clean it. This is a common thing we do for clients that have fires. Fires don’t wait for regular business hours and neither do we. 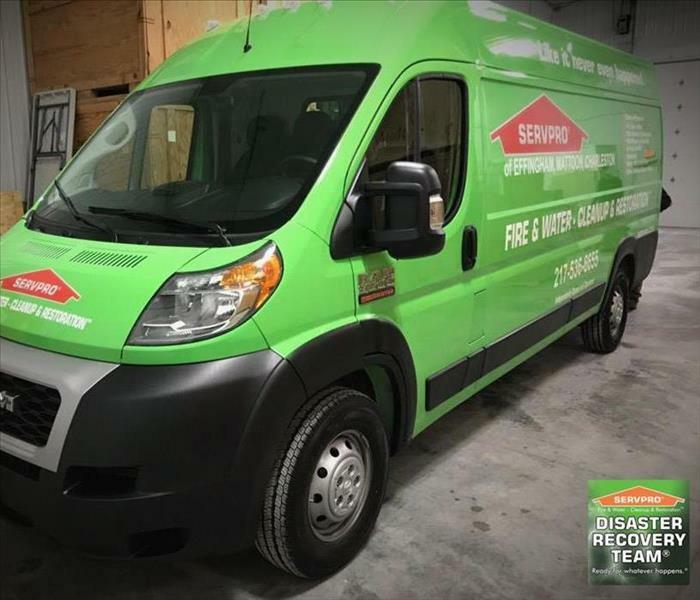 SERVPRO of Effingham, Mattoon, Charleston provides emergency cleaning and restoration services 24 hours a day, 7 days a week—including all holidays. We simply do not shut down because we know that our customers that depend on us may need us and day, any hour regardless of what day it is. Be sure to give the cleanup team at SERVPRO of Effingham, Mattoon, Charleston a call today at (217) 536-6655! Regardless of what day of the week or what time it is, we will be there to answer the call! So you suffered a catastrophe, we get it. Nobody does it better, nobody does it faster and no one in the industry can provide you with the resources needed to accomplish the job at hand better than SERVPRO. Regardless the size, we have you covered and will get you back to normal with minimal business interruption due to our incredible resources at our disposal. Because We Have the Resources You Need! 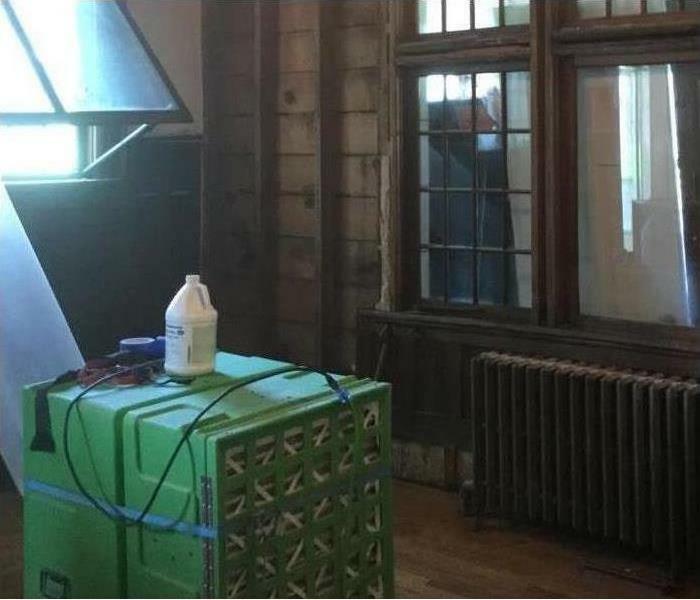 No Power?, No problem! Whatever the situation, we have the solution. Whether it be portable power, large equipment needs, or even a place to work out of like our mobile command center. On large commercial needs, we travel with everything we need to provide our customers the necessary resources to get the job done. Nobody does it better than SERVPRO! Fire and water emergencies don’t wait for regular business hours and neither do we. SERVPRO of Effingham, Mattoon, Charleston provides emergency building stabilization, cleaning and restoration services 24 hours a day, 7 days a week—including all holidays. Here at SERVPRO, we keep a fresh fleet of late model vehicles and equipment to serve you, "Our Valued Customers." We are continually upgrading our vehicles, truck mounts and other drying equipment to make sure we have reliable resources to handle to daily demands of a 24/7 restoration company. The last thing you need in an emergency is for the company you call out to handle your disaster is ready. We take a proactive approach so when you call us, we are prepared to handle any given obstacle needing a solution. We are the problem solvers. At SERVPRO of Carbondale-Marion, "WE" have resources! With several 53' fully stock trailers, 15KW Generators, trailer mounted desiccants and a full warehouse of consumables. TEAM WOLFE has everything we need to be on the road heading to the next disaster at a moments notice. When Disaster Strikes, Call SERVPRO of Effingham-Mattoon-Charleston at (217) 536-6655. He is Chuck Remm (Marketing Manager) picking up our latest addition to our SERVPRO fleet of vehicles to serve our customers. This baby has a fresh truck mount commercial extraction unit in it ans we will get years of reliable service out of her. Call the cleanup team at (217) 536-6655 if you want reliable fast service with dependable equipment and resources to handle your disaster. Specialized concentrated drying technique. 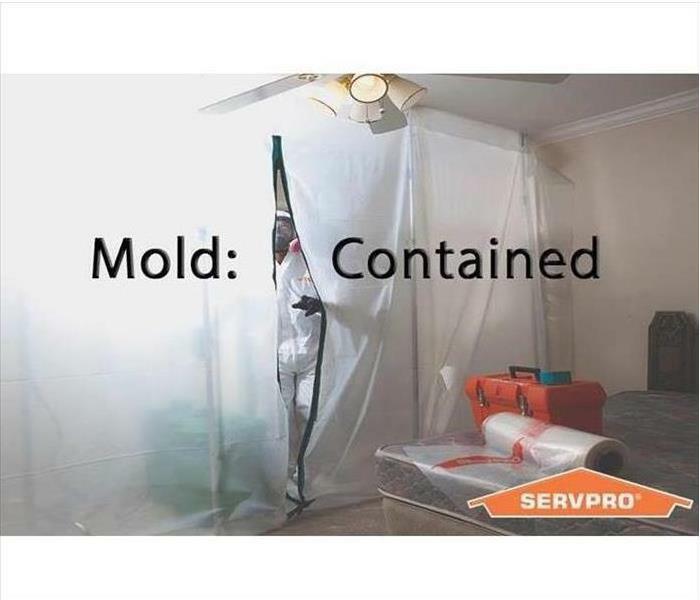 At SERVPRO of Effingham-Mattoon-Charleston, we are always developing unique ways to save and restore the most complex substrates. Our drying methods saves the customer and the insurance company from costly replacement vs restoring. This was one of these suites we flood cutted, cleaned and sanitized after a major flood event. SERVPRO of Effingham-Mattoon-Charleston can handle any type of disaster. 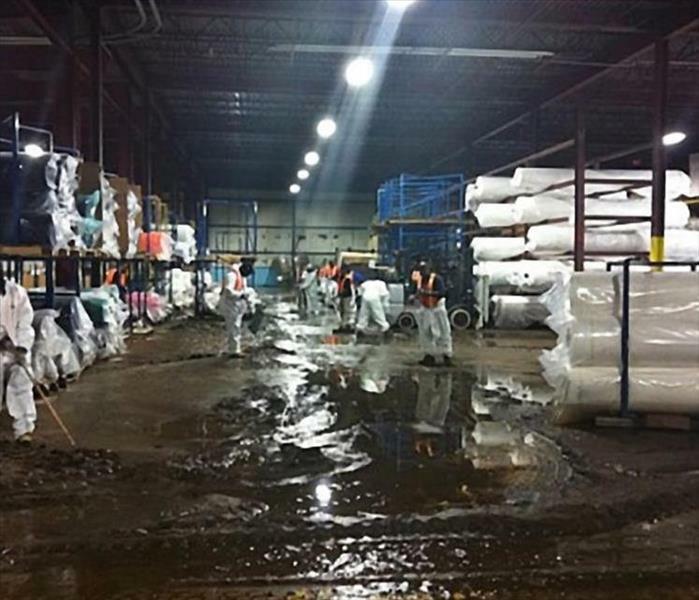 We have the knowledge, the resources and the equipment to restore your business after a flood. TEAM WOLFE IS YOUR LARGE LOSS SPECIALISTS. Be sure and call us at (217) 536-6655 for all your commercial Large Loss needs. We roll out these babies when we need additional power and drying capabilities. 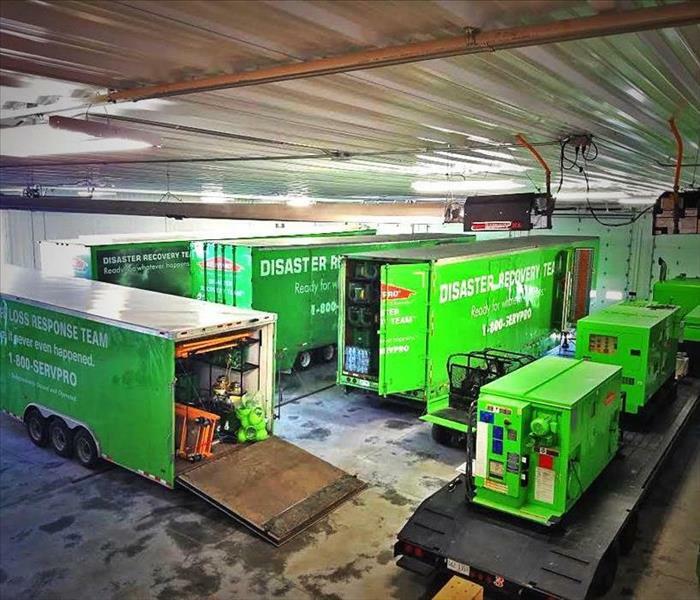 At SERVPRO of Effingham-Mattoon-Charleston, we have at our disposal several 53' stocked trailers and trailer mounted 15KW Generator / Desiccant combos that really can expedite building stabilization when time is of the essence and where additional power is needed. This was the aftermath of what happened after a flood that this client suffered. Although it may look overwhelming, our team had it cleaned up in a jiffy. Most companies are unbelievably surprised how fast we can clean up the damage, regardless of how severe it may look. 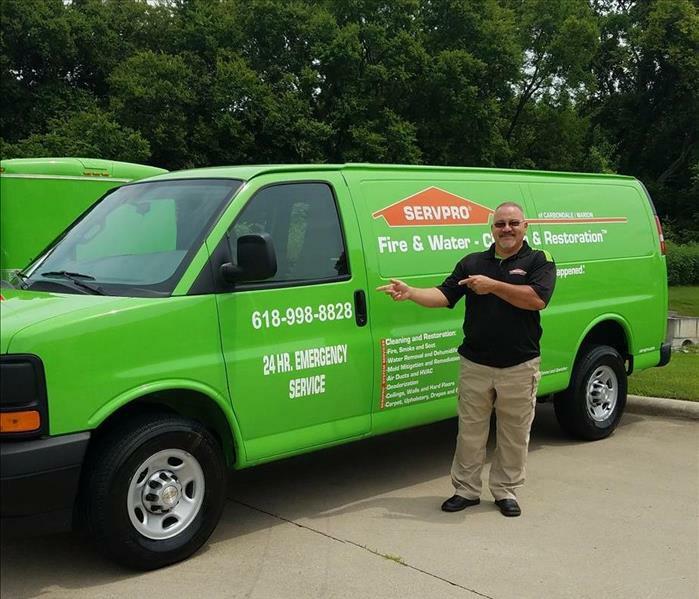 Call the cleanup specialists at SERVPRO of Effingam-Mattoon-Charleston at (217-536-6655 for all your flood disasters. Our Large Loss Division was deployed to help out a local franchise on this particular commercial Large Loss project. St. Francis Medical Center's new wing under construction suffered a major water damage. TEAM WOLFE Extreme team responded to mitigate the loss. This Medical Center is located in Cape Girardeau, MO. OUR TEAM IS ALWAYS READY TO DEPLOY, Call us at: (217) 536-6655. This is our mobile command center for our Disaster Recovery Division. Team Wolfe Extreme Team travels nationwide to catastrophic events. 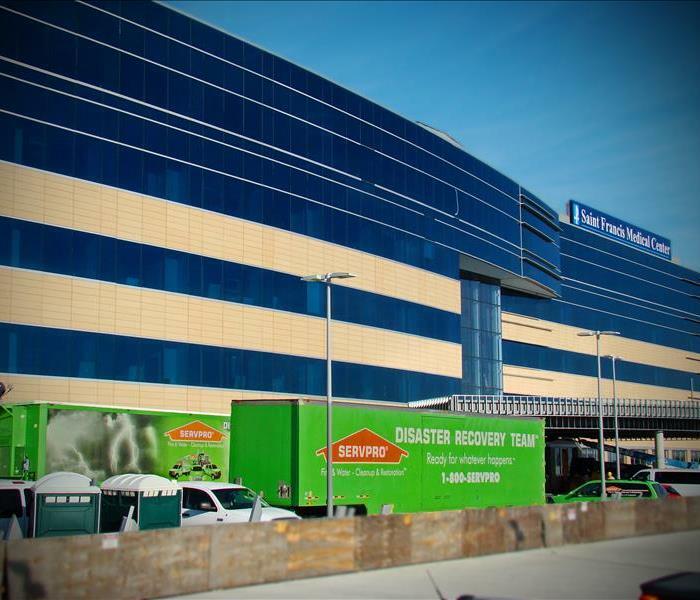 When your disaster requires onsite 24/7 management, look no further! TEAM WOLFE has a dedicated staff that will be onsite every day until the job is complete! Major fire damage at SEMO in Cape Girardeau, MO. 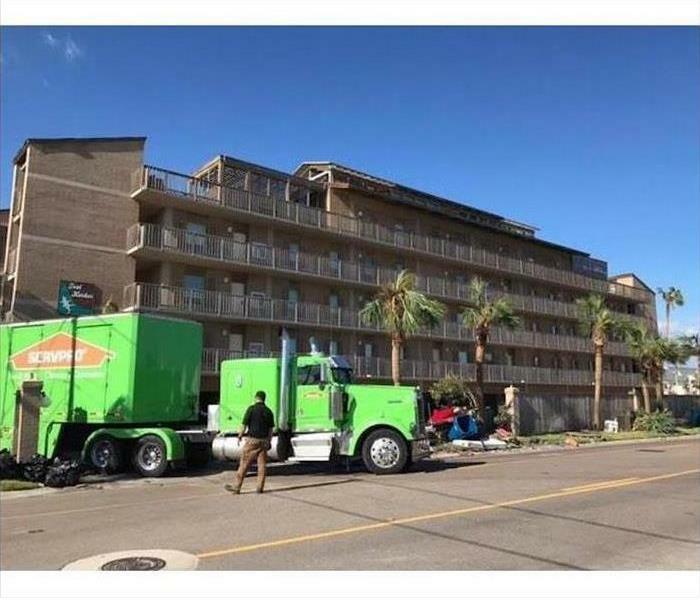 Our Extreme Team was deployed by the request of the local SERVPRO franchise to help assist and mitigate the loss. 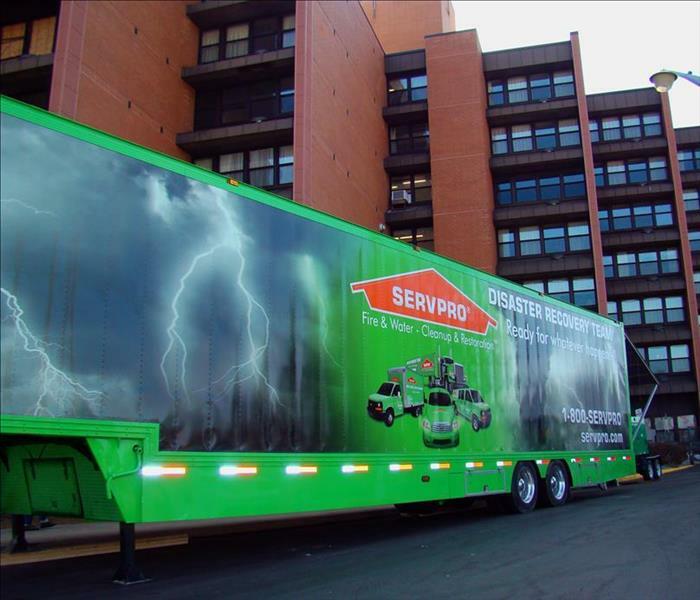 SERVPRO Disaster Recovery Team did a exemplary job returning SEMO to preloss condition. Our Large Loss team done an outstanding job and we delivered!